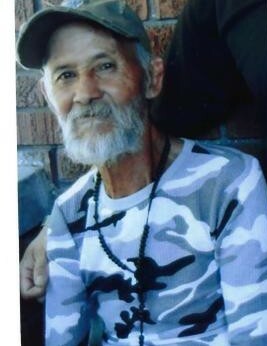 Richard Moncada passed away March 27, 2019. He was born August 14, 1956 to Ramon and Eloiza Sanchez Moncada in Clovis, New Mexico very loved and full of life. Everyone knew Richard where he resided in Ogden, Utah. He was a Golden Glove Boxer and a fighter. He never gave up; he fought for his life till the end. He had nine lives. Richard was a loving father, brother, uncle and friend. He loved all his brothers, sisters and family very much. He is survived by his daughters: Annie, Ruthie, Missy and Rosanna Moncada and grandchildren. He is also survived by his siblings: Veva Moncada Bustillas, Helen Crespin, Juana (Silvestre) Peregrina, Nancy, Mary Soto, Josie Baros, Cindy (Jose) Montes, Manuel (Kathy) Moncada, Rocci (Rose) Moncada, Freddie (Leanne) Moncada, and Johnny Joe (Christine) Moncada. He was preceded in death by his parents; brothers: Beto, Raymond, Winky, Johnny, and Jerry Moncada; and sister, Geneva Moncada. and lots of nieces and nephews. .
"Boom Boom – Bang Bang"
A viewing will be held Thursday, April 4, 2019 from 6 to 8 pm at Aaron's Mortuary, 496 24th St, Ogden, Utah.